Janak and I have been working quite intensely for the past 6 weeks or so. We both have some new and exciting projects going on that we are passionate about. Janak is finishing off his first book and growing his business with Personal Trainers as his niche market. I am setting up all my marketing campaigns for the ‘Escape the Photocopy Life’ program, setting up a new website and re-designing my sales pages, in addition to tackling Instagram as a way to collect leads and generate business. It’s all a bit hectic…exactly as we like it! We focus on working while we travel for a chunk of time so we can take a decent period of time off several times throughout the year. Our birthday’s are coming up next month (our bday’s are conveniently 2 days apart! ), and we want to take 3-4 solid weeks off to explore, play and relax.So right now, here in Italy, we’ve set ourselves up in a gorgeous seaside apartment in a small town in Sicily so we can work and then play at the beach. How do we stay so focused and effective? Well, we took a page out of the Italian’s Playbook…. Here in this part of Italy, they take a Siesta between 1.30-4.30pm, every day. The supermarkets and all little shops close up between these times, so the place becomes dead…and so quiet. It’s pretty cool! We can all definitely learn from this way of living! Most European cities do this, and Janak and I have followed this for a few years now. If you have the opportunity; take an hour just after lunch to decompress, think and relax. I recommend unplugging and getting out into nature if you can. If you have a job, is there a way for you to incorporate a ‘siesta’ into your day? Maybe take a walk at lunchtime and eat in the fresh air; no working through lunch while you eat in front of your computer! Listen to some music, an audio book or brainstorm into a notebook ways to become more effective and happier. Allow some silence in to refocus and rejuvenate. It is VITAL for your happiness. 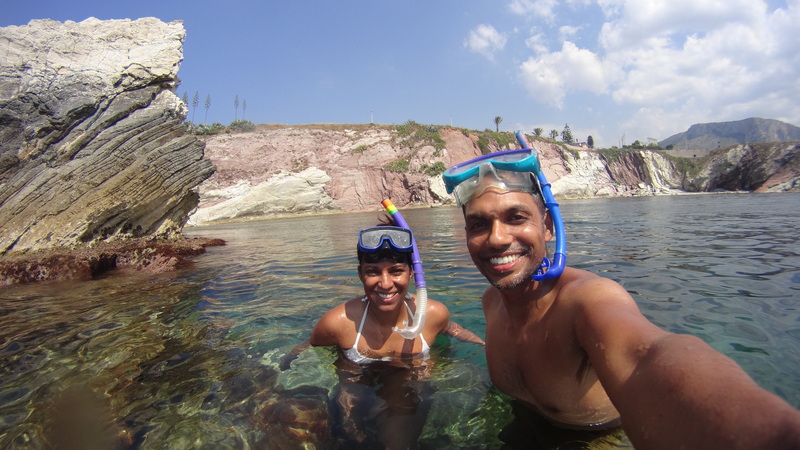 Snorkeling in Cala Rosa, Italy to beat the heat! 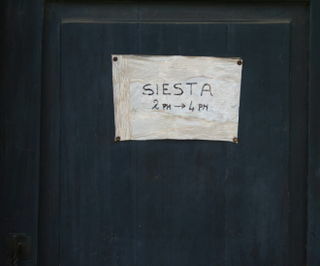 What would you ideally like to do in a 1-2 hour Siesta? Previous articleBurnout- are you at risk?